Angela Hix » 2011: What Can $500 Get At Sephora? Home Blog 2011: What Can $500 Get At Sephora? I’ve played a little with my new purchases from the grand opening of Sephora in Halifax yesterday (Read my review: HERE), but it will take time to see if I love my new purchases. I have to delve deeper into my eye shadow pallets, get a handle on this new fangled liquid foundation and setting powder I’ve never used in my life, experiment between the two eye primers and fall in love with my NARS blush I’ve been pinning over for 3 years. I have recently been reading the Bobbi Brown Manual: For Everyone from Beginner to Pro and really delving into different types of foundation and what works well for my skin type, combination with some sensitivities and patchy dryness (gross I know). I decided to pick up a couple really well written makeup books after I had a bad skin reaction to long-lasting liquid foundation that left me with no make up for over a month and a prescription for an antibiotic gel that felt like burning every time I slathered it on. It was the only time I have ever tried liquid foundation and I admit I am hesitant still to try again, alas I picked some up from Sephora. For combination skin I should be using something with silica beads in it to help contain my oily T-zone and maintain my hydration and moisture where I am driest. Thus after searching Internet reviews and around the web as I often have with my makeup over the past few years I found a couple. One with Bobbi Brown (BB), the other with Make Up For Ever (MUFE). Our new Sephora doesn’t carry BB so I went with what was available. 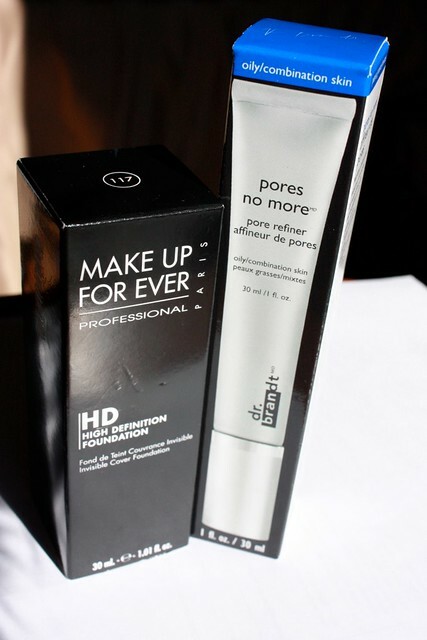 MUFE’s HD Foundation ($46). Not only does it have the silica beads I need, but is also oil free! (TIP: Most products have oil in them and this will make the colour in foundations turn darker on the skin after wearing it a few hours. Oil-free doesn’t and should be color matched or purchased lighter than what you currently wear). Brandy color matched me in store (you want to pick three colours near your skin tone and stripe each at the jaw line pointing downward and pick the one that matches your neck) and I am #117 Marble. 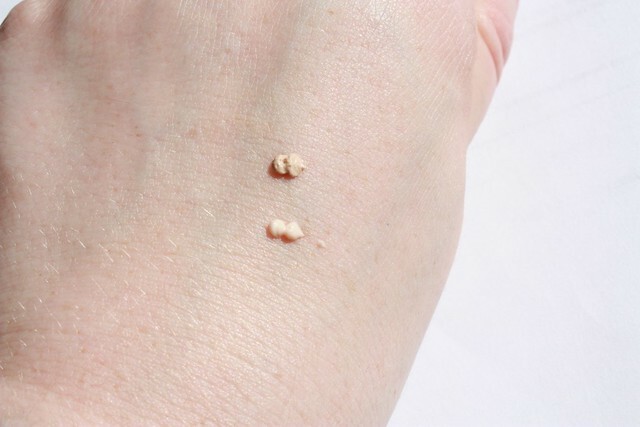 Granted I haven’t tried it on my face just yet I am looking forward to it as I played with it in store and here at home on the back of my hand (never match foundation to your hand. It will be darker than your face). 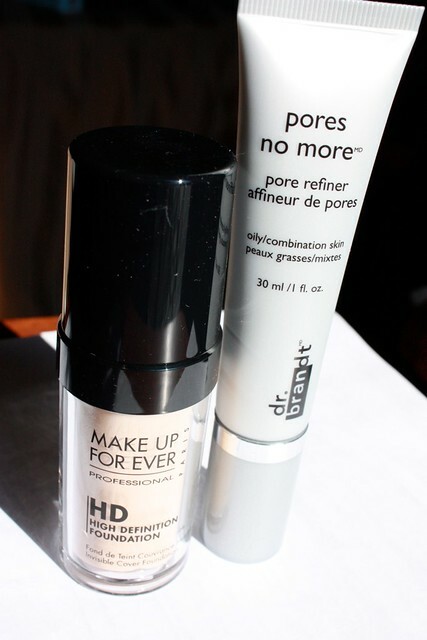 Along with my new foundation I picked up, on Brandy’s suggestion, Dr Brandt’s Pores No More pore refiner primer in oily/combination ($50). She has used it and enjoys it and I can’t wait to give it a shot! It’s tinted in color, but while on my hand buffed to a translucent shade. 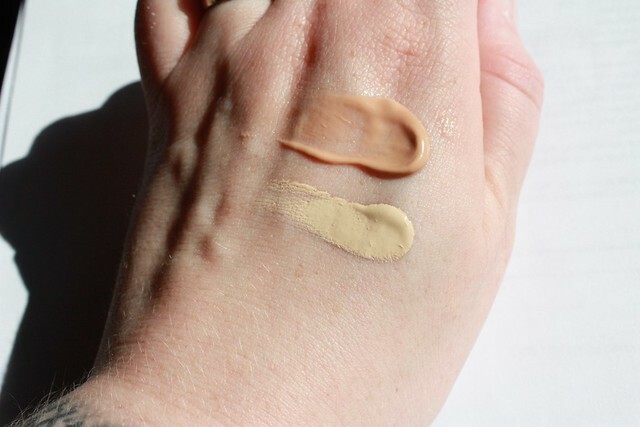 It feels silky smooth and I can’t wait to slather on the new foundation over top. This product promises to be instant mattifying pore refiner formulated with microspheres and flaxseed which helps minimize pores, absorbs oil, mattifying shine and smoothes & evens out the skin. I picked up another favorite of mine! 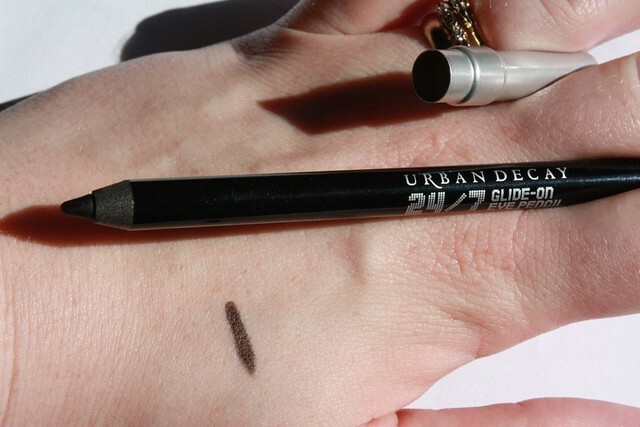 Urban Decay’s 24/7 Glide on Eye Pencil in zero($22). It’s a nice and creamy solid black waterproof eyeliner that goes on very smooth! Never use a dry eyeliner. A dry one can pull and tug on the delicate eye area which can damage the thin skin. 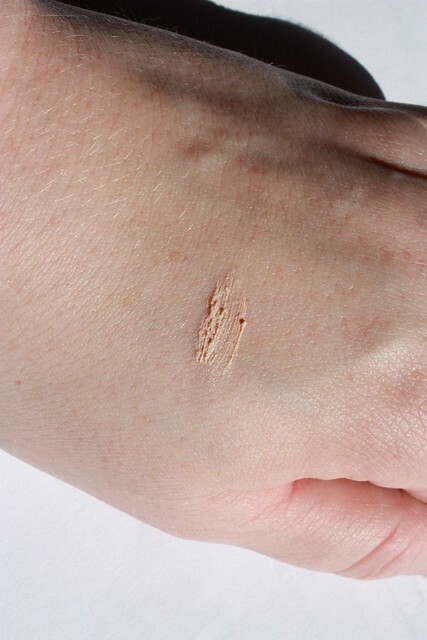 This has been a staple in my makeup for a bit more than a year and a half. I also have been looking for something to fill my brows in a bit more with. I usually have a shadow by MAC I really like to fill with, but by the end of the day I find it’s disappeared and left almost streaks behind in my light-colored brows (I actually color my brows when getting my hair colored… shhh). So on the lovely advise of Brandy I picked up Anastasia’s Clear Brow Gel($27). Her advice was to apply my favorite MAC shadow to my brows then follow-up with the gel and it works like magic! Such a great idea! I love the result! My all time favorite mascara is at Sephora! 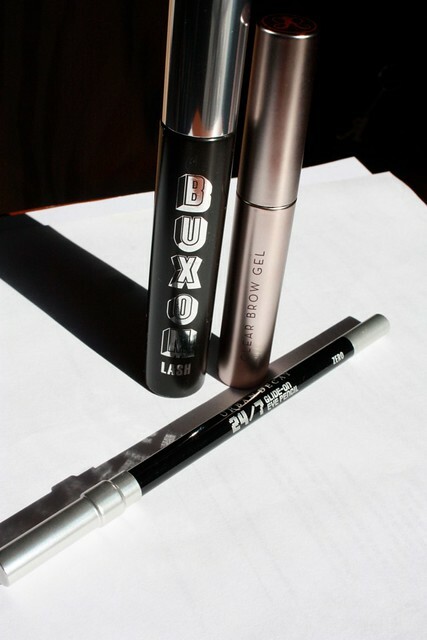 It’s called BUXOM Lash Mascara from Bare Escentuals($24) and I wear Blackest Black. It does exactly what it promises! Which is up to 300% while revealing every single lash. 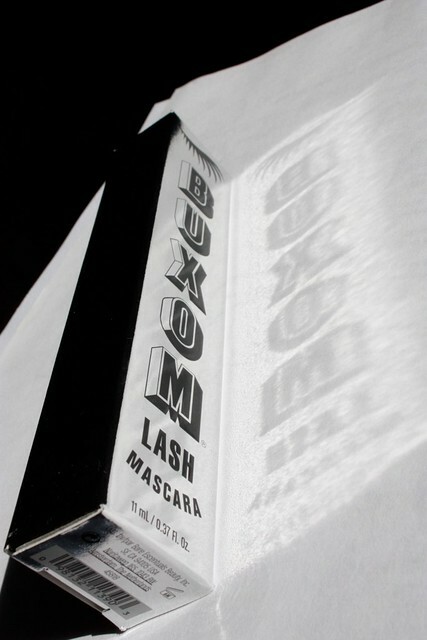 It lengthens lashes, volumizing & won’t clump! 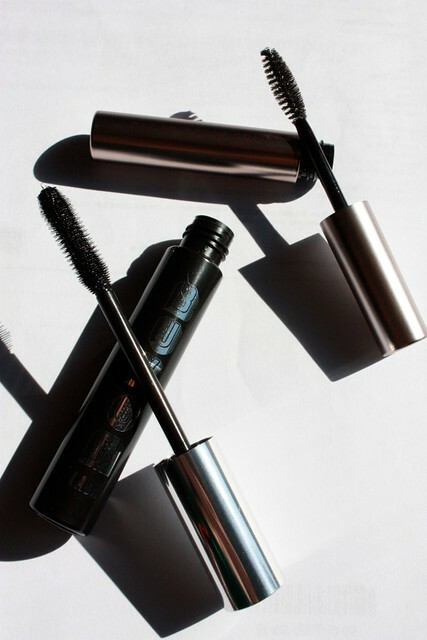 Not to go without mention, it’s infused with antioxidants for rich, lush lashes. 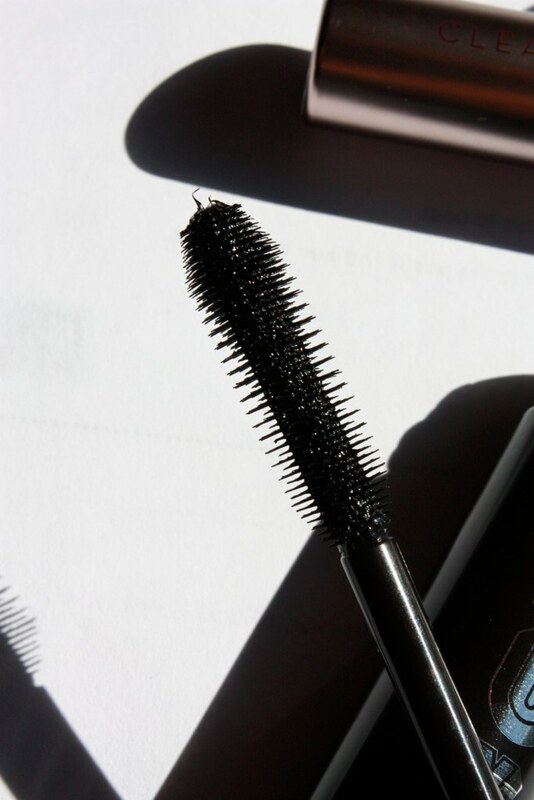 I have definitely noticed a change in my lashes since using this mascara. My lashes are fuller, they curl naturally, and when I apply, the uniquely shaped brush actually lifts and separates each and every single lash! And the packaging is just so flashy and chic! I also picked up two new to me items I have yet to use, but have read amazing reviews on! Both products are from Too Faced. 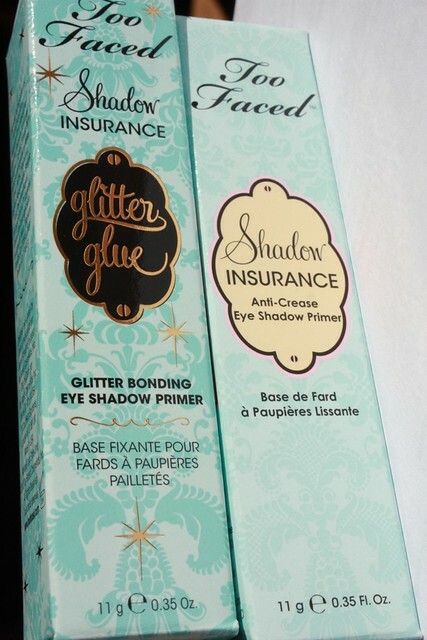 One is called Shadow Insurance($24), an anti-crease eye shadow primer. 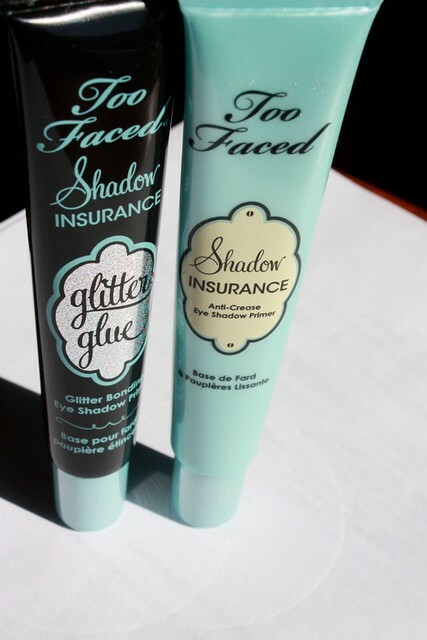 The second is based on the first, Shadow Insurance, but is glitter glue, a glitter bonding eye shadow primer($24). Glitter glue dries invisible and helps bond glitter products to the lid, however should decide to use glitter on the lid, ensure that the glitter is safe for the eye area! There are many glitters that are made with metal and will scratch the cornea if it gets on the eye. Ensure you use caution and read your labels. As for the eye primer, like any good paint for your walls, you need a good primer! I have been using MAC’s painterly paint pot for years and have always enjoyed it, but felt like it was the only option I’ve ever had. Now that Sephora’s arrived on our door steps it’s time it experiment and try new things. This feels creamy and light weight and looks translucent when applied(glitter glue on the left and shadow insurance on the right in the link HERE). I am hopping for the long days it will pay off. Only time will tell however. I have deep creases and find that on lengthy days in the summer my oily lids can break through even my paint pot primer! Now granted that’s on the REALLY long days. I’m talking “I’ve had my makeup on since 6am and it is now 10pm” kind of days. I will really have to experiment and get a good long-term review on this product. It sounds promising, but so does the Urban Decay Primer Potion($23)…. which I also picked up! I have tried small samples of the Primer potion before and enjoyed it but never felt I had long enough with it to give it a just review. 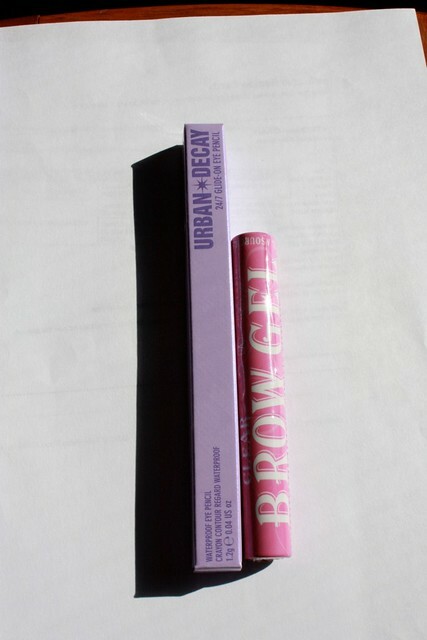 Urban Decay has made a lot of great products and I’ve had the luck of trying several. I’m a big fan of their shadows and eyeliners. 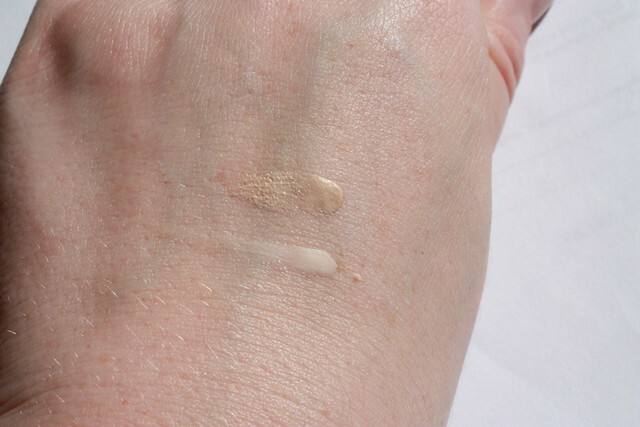 Their primer is a bit thicker than the Too Faced Shadow insurance and also goes on creamy and smooth. It’s a bit more tinted, but still wields a wonderful end result! With the new packaging (it used to be done with a wand, picture lip gloss style) it not only wields 10% more product it also makes it easier to apply with the needles nose pointed tip. 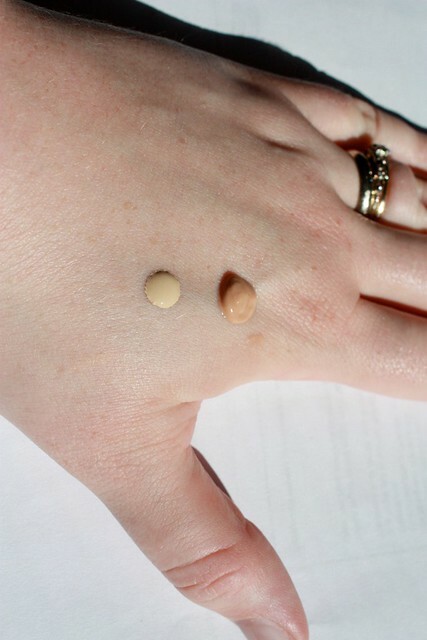 This is also a great starter primer for those who have never use an eye shadow primer before. I recommend this for new comers and veterans a like! Like I’ve said before, it’s all a matter of what works best for your skin. It’s like at MAC, I wear the paint pot because my lids are more oily than others I know. Most use just the paint but paint creases on me. I’m hoping to branch out and try new things! As for the second product featured in the photo above, I was yet again introduced to this by the lovely Brandy. 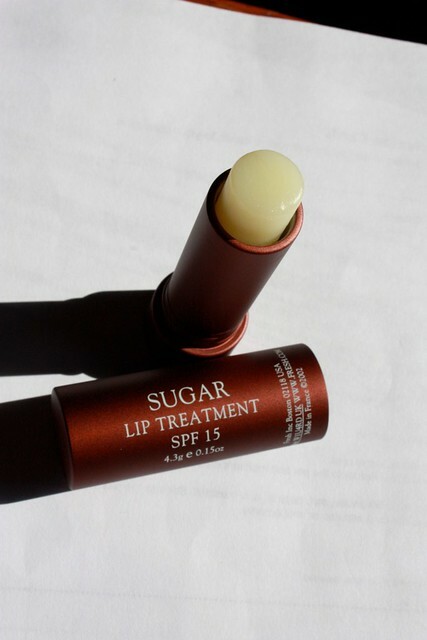 A lip treatment she swears by Sugar Lip Treatment by FRESH ($26). I applied this after eating my lunch shortly after showing my haul to MsJillian and it went on slick and hydrating! I have to say this is one of the better lip treatments I’ve come across. Not only does it feel light and moist on the lips it smells and tastes like lemon meringue pie!! Who wouldn’t want this on their lips! Brandy also showed me 3 other tinted colors this treatment comes in. A purple color that was beautiful and deep, a honey hue which was light and natural and lastly a pretty pink coraly color that just added some nice color to the lips. I’m more of an au natural girl and opted for the basic. I’m considering the honey hued one though. 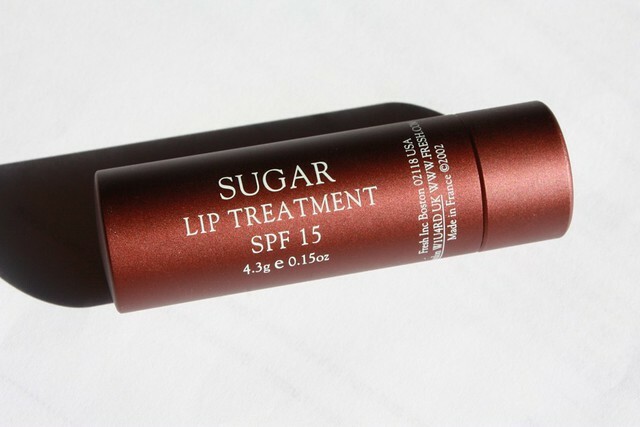 This treatment also has an SPF of 15!! It’s hydrating and protecting! Now this is only half of what I purchased. I feel as though this post has gone on long enough and have opted to do a second one between tomorrow and Monday. I know, you can’t have enough of a good thing (why do you think I came home with so much?!) but I worry that this has become both link and image heavy and nobody wants an information overload! So subscribe to the emails (to the right) to have the review and my future posts delivered directly to your inbox or check back soon for more of my Sephora Grand Opening in Halifax Haul!